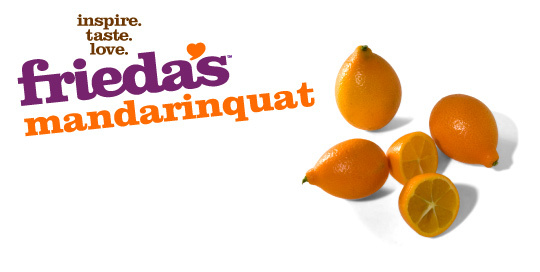 A hybrid of mandarins and kumquats, Mandarinquats can be eaten whole, rind and all. About twice the size of a kumquat with a teardrop shape, the flesh tastes like a slightly tart mandarin, but the vibrant orange rind is very sweet. Enjoy whole, slice into salads or use in a variety of desserts. Like kumquats, they can also be candied, turned into marmalade or pureed for drinks and sorbets. Choose firm and glossy fruits. Store at room temperature up to 2 days then refrigerate up to 2 weeks.